Jamie is a wonderful, entertaining, comedic speaker who will talk on the serious subject of organizing your home and life. She offers great tips that will really help. Please come and bring a friend who needs help too. Are you afraid to open your kitchen cabinet because you know food storage containers are going to come pouring out like an erupting volcano? Do you spend hours searching for the email you need? Will you regret it tomorrow if you give away all your old concert T-shirts? And how many tote bags will you really use? 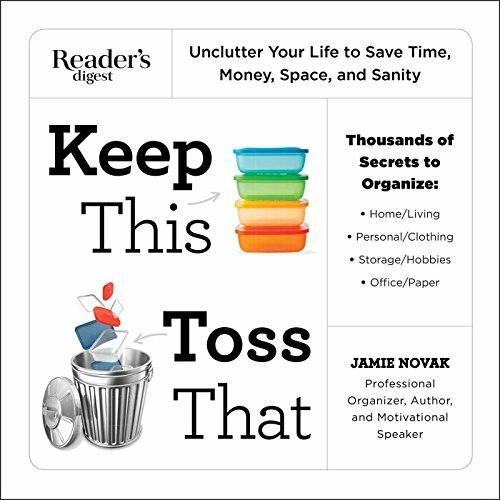 • advice on how to customize the lists to suit your house, your family, and your lifestyle Answering the one key question you need to get organized and live happily with just the stuff you love, Keep This, Toss That is the one organizing book you must have.